​Erin's back in the studio to work on a 2nd project as Ms. Park for Kognito! ​Erin is excited to partner with Eva Kantor to debut their new show Flying Blind. Under the direction of Eric Michael Gillett, the show explores what happens when you step into 'the role of a lifetime'. Musical Direction by Madeline Smith with band members Janna Graham and Vicky Warwick. ​Erin will be in and out of the studio working on several new NFCU spots. ​Erin is Ms. Park, the warm approachable math teacher at Mid Valley High School in a new project for Kognito. ​Erin has been cast as CLEO the bird in a new series of videos and commercial spots for Birds Eye. Erin is delighted to head back to Sound Lounge to record another radio spot for NFCU. ​Erin booked a VO spot for Benjamin Moore Regal Select Paint. Erin will be representing Gerber BabyNes in a live TV segment on NDT. Erin will be shooting a print ad with photographer Dennis Mosner for Smilo Baby Products. Erin is headed over to Sound Lounge to record a Voice Over spot for NFCU. Erin stars as Melissa Lewis on 6 Degrees of Murder Season 2, Episode 5 premiering on Tuesday, July 11th at 9pm EST on Investigation Discovery. Erin was asked back to host another industrial video for BabyNes. Erin is headed to Pennsylvania to play the role of Nurse Linda and host an industrial for the Generic Adrenaclick Auto Injector. Erin booked a V.O. narration spot for Coca Cola! Erin is thrilled to begin working with Stefanie Field at Stefanie Talent and Entertainment for representation in the areas of TV, Theater, and Film. Erin booked a VO session with Dannon Yogurt recording a total of 6 commercial test spots for the brand. Erin has been cast as Thoreen Kant in a reading of Gary Morgenstein and Eric Rausch's new musical God Loves Most of Us. Erin will be the soprano soloist for the Band Of Long Island's Spring concert at Landmark on Main Street. Erin will be shooting the role of Melissa Lewis, a rising attorney, in an episode of "6 Degrees of Murder". Erin booked the role of the Finance Manager in an industrial for Deloitte. Erin will be starring in the short film F.O.C. that she wrote with Hillary Hamilton. She is excited to push her boundaries with this project and to create new work! After being part of the developmental process for the last year, Erin is ecstatic to join the 6 person cast that will bring "30 Whatever" by Patrick Dwyer to life! Shows will be January 23, 29, February 4, 6, 13, 20 at the Laurie Beechman. Erin will be "Mom" to twin baby girls in a print shoot for BabyNes. Erin will be singing with the professional a cappella group "The Mistletones" with Songful Artists this holiday season. After a successful shoot last month, Erin has been asked back to film a corporate training video for Gerber BabyNes. Erin will be a featured soloist performing the work of new musical theater composer Mike Pettry. Erin will be traveling to Boston to film several commercial / educational videos for GERBER'S new formula system BabyNes. Erin is the voice of WINDSTORM in the upcoming radio campaign for Geico. Erin is delighted to continue with the development of "30 Whatever: The Songs of Patrick Dwyer" with a presentation at the Laurie Beechman Theatre Thursday June 9th at 7pm. For tickets please click HERE. 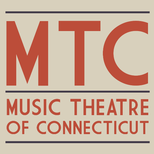 Erin will be heading up to the Music Theater of Connecticut to once again play the lead role of Marie Martin in Jeffery Lodin, Bill Nable, and William Squier's new musical LOVE ON ICE as part of the New Voices Page to Stage series. For more information please click HERE. Erin will be the featured soloist for two concerts this month with the Band of Long Island under the direction of Michael Flamhaft. Erin booked the role of Mom in a new commercial for SPROUT. Erin will be a featured soloist in the development project 30 Whatever: The songs of Patrick Dwyer. Erin will be playing the lead role of Mora in the premiere reading of Night Tide, a new musical by Taylor Tash and Nathania Wibowo. Backed by an 11 piece orchestra, Erin is delighted at the opportunity to share the stage again with actors Patrick Dunn and Nick DeVito. Erin is headed to Nutmeg Studios to record a radio spot for Wendy's! Erin will be singing with her friend Parker Scott at the Metropolitan Room. 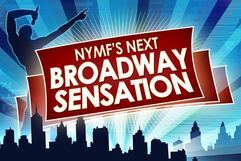 Erin is moving on to the finals of NYMF's Next Broadway Sensation Competition! Erin will be singing the music of Zack Zadek in the ASCAP Presents: The Finale Concert. Erin will be voicing the role of Melissa (Young Mom) in an animated training video for Kognito Interactive. 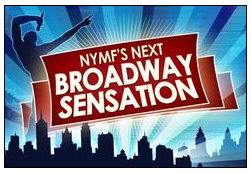 Erin has been selected to perform in NYMF's 2015 Next Broadway Sensation! HERE is the press release with more information. Erin will be singing and spreading holiday cheer again this season with the professional a cappella group Party Singers. 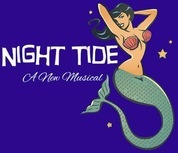 Erin is cast as Mora in the new musical Night Tide by Taylor Tash and Nathania Wibowo based on the 1960's cult classic. She's heading into the studio to record demo tracks as they begin the developmental process. Erin is headed into the studio to record the vocal tracks for the new musical Love on Ice. Erin will be portraying the lead role of Marie opposite Jim Walton in the reading of Love on Ice - a new musical by Bill Nabel and Jeffrey Lodin at the West End Lounge in NYC. Erin is featured on the front page of the Lifestyle section in the Capital Gazette. Erin will be playing the role of Pam in Baby the Musical with Infinity Theatre Company. Directed by Igor Goldin. Click HERE for more information. Erin signs with Stewart Talent's Voice Over Division. Erin will be modeling Red Carpet Fashion for Celebrity Stylist George Brescia on the CBS Morning Show “The Couch” … after giving birth just 3 months earlier! Erin has been asked to participate again in The Amanda McBroom Project under the Direction of Erin Michael Gillet and Arthur Masella. She will be sharing the stage with Mandy Gaonzalez, Karen Akers, and Aisha De Haas. Erin booked the “Start Better” Voice Over spot for Clinique. Erin's heading back to Transylvania! She begins rehearsal for Jeff Whiting's production of Young Frankenstein, a co-production between Gateway Playhouse and Ogunquit Playhouse. She'll be back in NYC in August. For more information click HERE and HERE. Erin booked two roles in upcoming Virgin Mobile commercial spots! She will be playing an 1980’s Weather Woman and one pissed off girlfriend. Erin will be recording and debuting composer Paul Fujimoto’s new comedic song “Disney Prince”. Erin is proudly donating her time and voice to the Live Through Love “Dream in Color” Benefit Concert at the Duplex. Erin is a featured soloist in the Singers Forum's “Spring Awakenings” Benefit Concert with Tovah Feldshuh, Jarrod Spector and Gideon Glick at the Laurie Beechman. Erin was honored to be a Guest Artist/Educator at her alma matter Towson University. She presented a lecture on 'The Business of the Business' and a Musical Theatre Masterclass. Erin booked a national commercial for AZO and enjoyed playing with two adorable baby pigs on set! Click HERE to watch. Erin booked a VO spot for Kayak.com. Click HERE to watch. Erin just booked her first print print campaign for SYNAGIS. Erin is a Soloist/Performer in The Amanda McBroom Project directed by Eric Michael Gillett at the Laurie Beechman. Erin will be modeling Spring Fashion with George B. Style on New York Live. Click HERE to watch. Erin will be playing the role of Judy in a reading of Tom Sime's new play Figment directed by Eric Michael Gillett. Erin will be the host for an on camera interview with Sal Lifrieri of Protective Countermeasures for a new education program on cyber bullying created for teenagers and their parents. Erin shot a candid camera commercial for Taco Bell. Erin creates, writes and produces the new web series Living G Free in NYC. 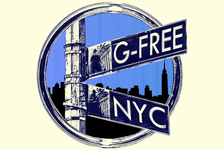 The 1st episode of Living G Free in NYC is released. Click HERE to watch. Erin is pleased to once again be playing the role of Jenn in a staged reading of David Meyer's play The Bus Test at the Abingdon Theatre Company. Erin heads in the studio to record demo tracks for Paul Fujimoto and Howard Emanuel's new musical The Third Act. Erin will be shooting multiple short educational videos for Static Guard with Director Brent Sterling Nemetz. Erin will be singing and spreading holiday cheer with the professional a capella group Party Singers this holiday season. Erin was delighted to be asked again by playwright David Myers to portraying the role of Jenn in his play The Bus Test at The Lark. Erin was honored to be asked to sing Rita’s Tune from The Sweet Smell of Success at the Marvin Hamlisch Tribute and the opportunity to sing for his wife Terre Hamlisch. Erin is headed over to Ground Control Studio to work with the amazing Murray Trider on some new vocal demo tracks. Erin will be playing the role of Jenn in David Myers new play The Bus Test presented by the Platform Group. Erin is excited to bring back to life a 1930’s Ghost Bride from Kevin Sorbo’s Celebrity Ghost Stories. Erin booked a Sour Patch Kids commercial directed by Evan Silver. Living G Free editing begins. “Oh Mi God, You Guys!” Erin will be portraying the role of Vivienne Kensington in Legally Blonde the Musical at Beef and Boards Dinner Theatre. Erin will be singing and spreading holiday cheer with the professional a cappella group Party Singers this holiday season. Erin just booked her first national commercial! She will be recording the voice of the Giraffe in spot for MiO. Erin signs with DDO Commercial department. Erin signs with DDO’s Theatrical department. Erin will be co-hosting the new web series The Frugalicious Show alongside Bitsy Jennings. Erin is thrilled to be understudying the roles of Elizabeth Benning and Frau Blucher in the 1st National Tour of Young Frankenstein under the direction of Susan Stroman. Erin will be playing the leading role of Catherine Earnshaw in a new musical adaptation of Wuthering Heights at the Mint Theatre under the direction of Matt Gutschick. Erin will be terrorizing the high seas as Cruella De Ville in The Goldens Mickey’s and Lady Tremaine in Twice Charmed aboard the Disney Magic. Erin is thrilled to be getting her AEA card and fulfilling a life dream of performing at "The Happiest Place On Earth!" Erin will be spending the holiday season at Walt Disney World as the Vocalist for Mickey’s Twas the Night Before Christmas. Erin will be taking a hiatus from Pinkalicious to play the roles of Gabriella in High School Musical and Mayzie in Seussical at the Roxy Regional Theatre. Erin plays a Dog Groomer for a Petco Industrial. Erin makes her solo cabaret debut with "Dare to Dream: Inspiration from the Broadway Songbook". Multiple Sold Out Performances in NYC, Baltimore and D.C.
Erin is excited to playing the role of Mrs. Pinkerton in Pinkalicious at New World Stages under the direction of Teresa K. Pond. Erin will be heading out to Las Vegas to be a Principal Singer in the 25th anniversary cast of Don Arden’s Jubilee at Bally’s. Erin will be playing the role of Maggie in The Littlest Light on the Christmas Tree with the Vital Theatre Company under the direction of Steven Harris. Performances will be at the McGinn Cazale Theatre. Erin will be running away with the circus for the next 6 months as she joins the cast of Cirque Dreams in the role of The Magical Songstress. She is one of 3 Americans in this internally and insanely talented company. Erin has been cast in her first Off Broadway show! She will be joining the company of A Stoop on Orchard Street in the ensemble and understudying the role of Sarah, Ruth, and Mrs. Lipschitz. Performances are at the Mazer Theater.